BLÁNID is a talented folk singer and multi-instrumentalist hailing from Northern Ireland and Devon. With a voice that has been described as “spellbinding”, “haunting” and “beautiful”, BLÁNID attributes her love for folk music to the stories behind the songs. 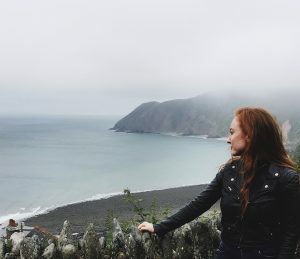 With her ability to connect emotionally to these stories, she breathes new life into traditional folk and embraces contemporary folk with passion. BLÁNID has been invited to perform at folk festivals and clubs throughout the UK such as Sidmouth, Oxford and Kimpton Folk Festival; has supported British folk duo Ninebarrow and BBC2 Folk award winning band The Furrow Collective, and has performed on stage with British rock folk band The Levellers. She won Gaelic Voices 2015; was a finalist in the Molloy Award 2017 (Birmingham TradFest), was a winner of the New Roots competition (2017) and has been played on local radio.